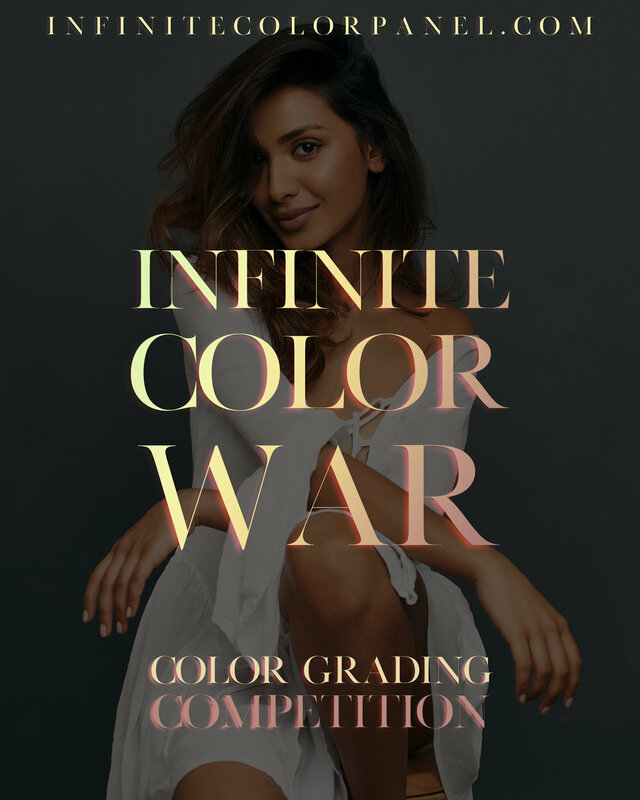 Infinite Color War: Our First Color Grading Contest! It’s time for our first color grading contest! Are you ready to suit up and battle? Let’s see how your taste in color compares with others in our first fun contest! With the launch of Infinite Color Panel, it’s been incredibly inspirational seeing people’s work and their taste in color finally come through with the help of it to guide them there. So it got us thinking, what would happen if everyone worked on the same image? What color choices would people make? What direction would they go and how would they color grade this image? What look would people collectively like the most? All the questions! Hence the contest was born. This image was provided by London based photographer Indy Sagoo! Open the PSD image in Photoshop upon downloading to start working. A. Color grade this using the Infinite Color Panel as a part of your color grading. B. You can certainly use as many of your own layers and tweaks as you’d like as long as the panel is a part of the process. C. Ensure you save your layers, we’ll ask the winners for screen shots and ensure they own the panel. D. One entry per person! E. You can dodge and burn to modify light if you wish too as a part of the process, since it impacts the overall "feel" of the image. F. You may use masking and stack colors to your heart's content! As of reading this post, the contest has now ended and we're in judging mode! We'll be making a blog post this week with some of our favorites, so you can judge for your favorite anonymously! After the winner is given and announced, we'll be posting a wide selection of photos that were submitted along with who did them. - Rename the file to your name so we know it’s you! - Please read the rules before submitting. One entry per person. B. Optional: Upload an image to Instagram and tag #infinitecolorcontest and tag us at @infinitecolorpanel so we can follow along on IG to see what the community thinks of what you make! Once the contest ends, we’ll make a blog post with our top favorites without listing the names, and ask the audience to vote for their favorites! After which, we’ll announce who won the contest with a feature, and also announce who our top favorites were by naming them. 5. Do we win anything aside from having fun? A. We’ll be refunding the main winner so you’ll get to keep the panel for free! B. The main winner gets a spotlight feature and interview about them and their work. C. He or she also gets $200 in cash (USD)! 6. How can I learn how to use the panel like a pro? If you're new to using the panel, be sure and visit the Education tab on the top of the site to see more videos on some great ways of using it!